Makill On Dundee Beach is the jewel of Dundee Beach. Absolute beach front, located 500 metres from the Lodge of Dundee. Architecturally designed and Balinese inspired you will experience the real Dundee Beach. Makill On Dundee is a split level cottage with air-conditioned, 2 bedrooms and an open room upstairs. There is a King size bed in main room and second room has a queen bed, 1 double, 2 singles and 1 bunk in the open room. Downstairs there is a fridge/freezer, gas burner, BBQ, microwave, cooking & eating utensils. Undercover parking for 1 car and 1 boat. A plunge pool is available. Open fire place 20 metres from the waters edge. This was our second stay in 18months. The first time there were 6 ladies and we had a good time. The facilities at the property don't reflect the price. 2nd time round the property was ok, but seriously there are other properties we have rented out here at Dundee beach that have been cheaper and they have been much better. 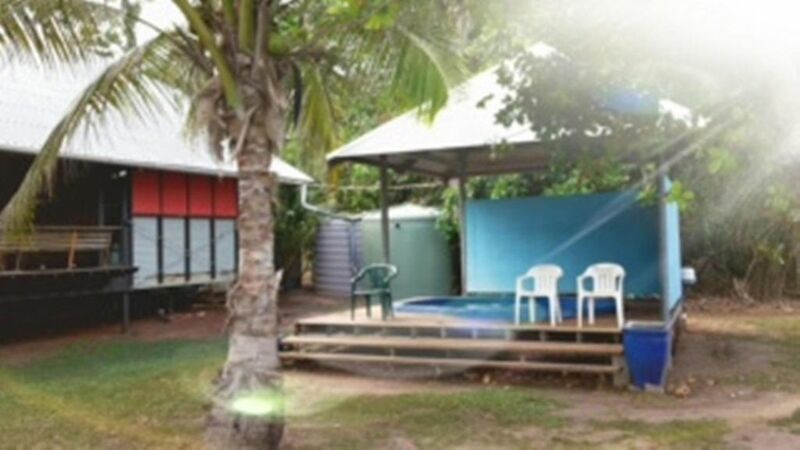 It is close to the lodge and is beach front which is lovely but I think the owners need to do some much needed maintence on the property. The Cushions on the seating outside were dirty and smelly,there was a BBQ covering a hole in the decking , the fridge in the carport did not work because it was so iced up ( we defrosted and got it working) we had to clean the fridge in the kitchen area before we could put our food in it. Charging a $500 cleaning deposit is a bit much as well. Overall it was just ok.
Makill House is in a lovely position and had a really lovely feel about it. However, there were major issues with the plumbing and it was evident this was known before we arrived. The owner did help us find another place to stay. However, the stress could have been avoided if we were told there was an issue prior to us arriving at the property. Excellent location. Great for a large group of people that just want to chill out and enjoy the beautiful view and great sunsets, while enjoying the beach side conditions of fishing, reading and relaxing.